The GPW-1300 electric high pressure mobile heavy duty industrial pressure washer delivers form and function, especially when you've got a lot of ground to cover. 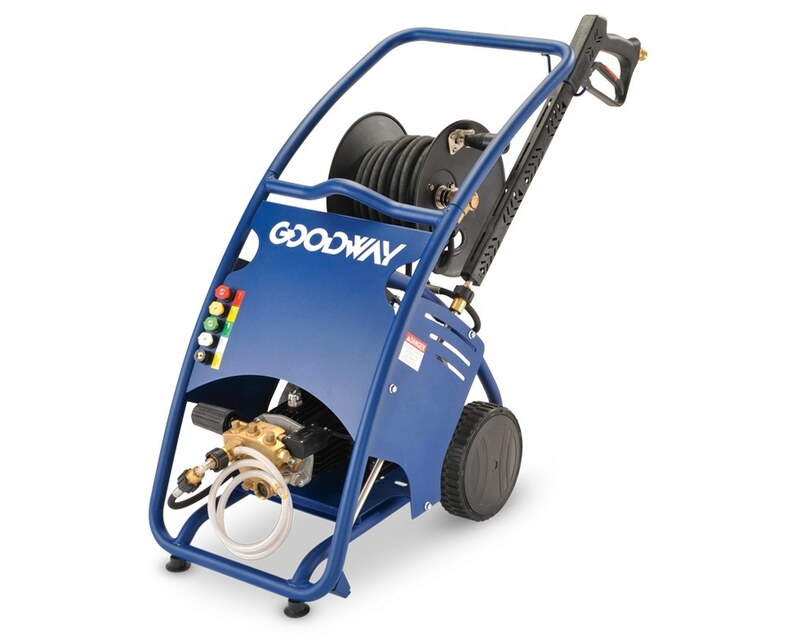 This powerful unit delivers 1300 psi of cleaning power at 1.625 GPM and is attached to an ultra portable dolly with onboard storage. It's simply the best solution for an all-around industrial pressure washer to clean industrial environment and for facility management and maintenance needs.